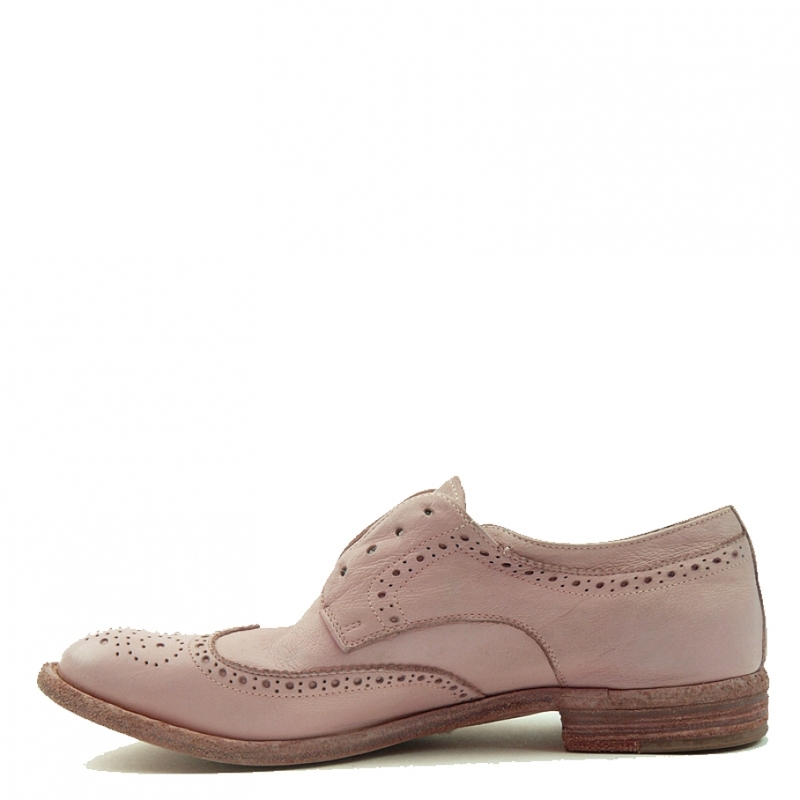 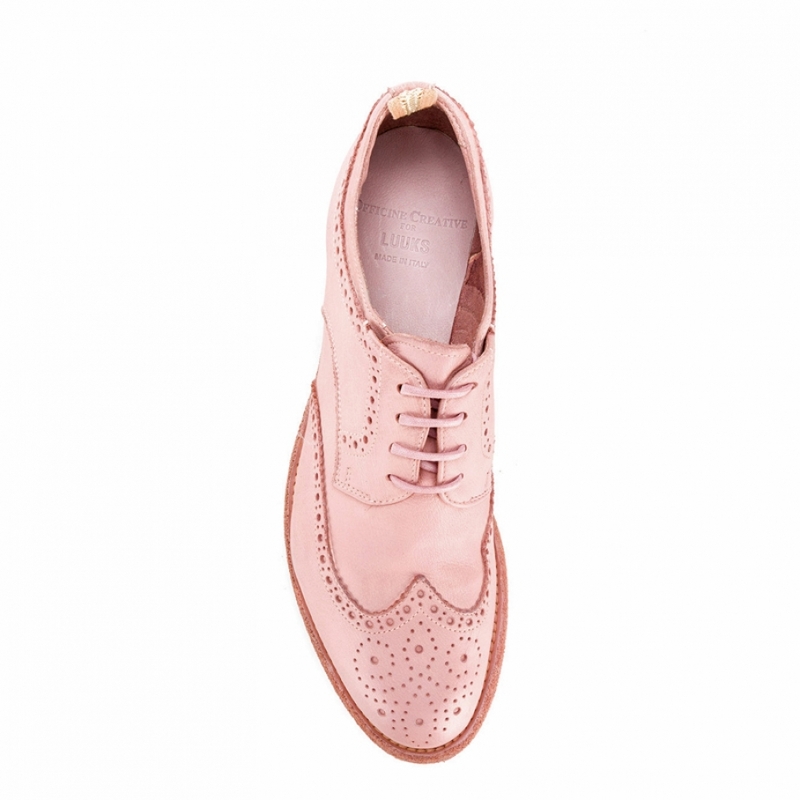 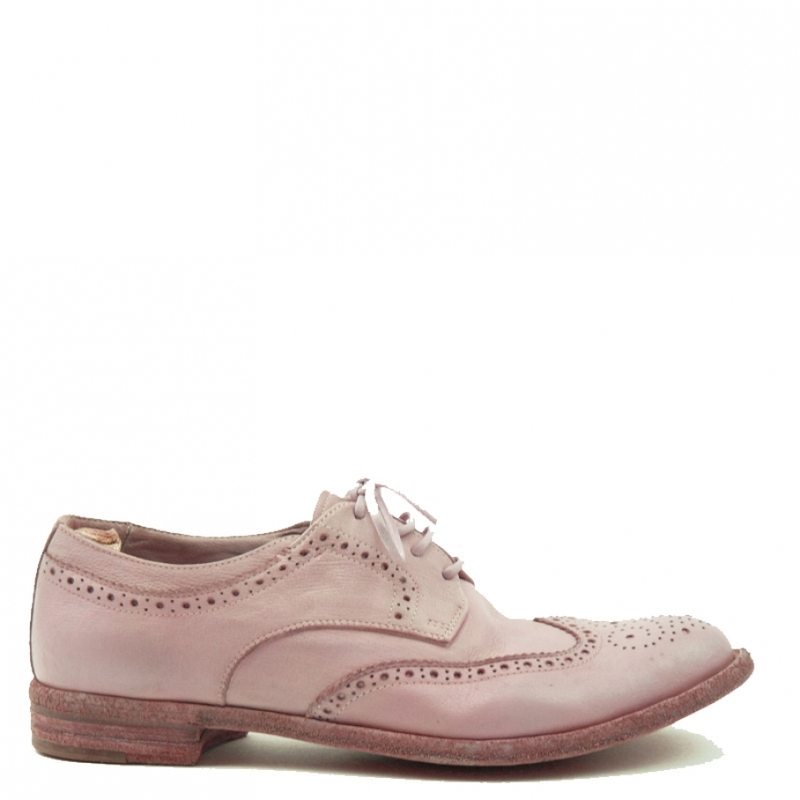 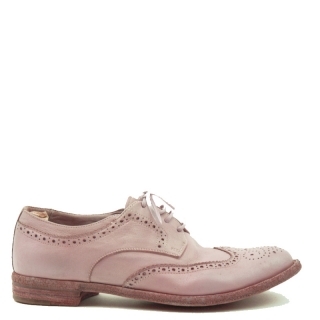 Pink leather "Lexington" brogue shoes from Officine Creative. 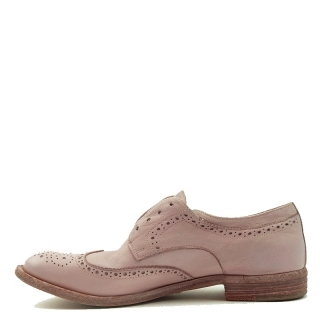 Wearable with or without laces. 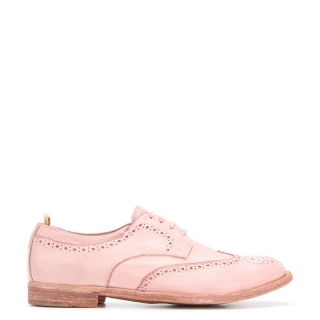 These shoes are washed and therefore they have a little distressed look.